The corporate logo of Shell, a Dutch petroleum company. A Brazilian judge has ordered oil giant Shell and chemical behemoth BASF to pay $500 million in compensation for hundreds of ex-workers suing for damages in a suspected plant contamination case, a judicial source said Monday. A Brazilian judge has ordered oil giant Shell and chemical behemoth BASF to pay $500 million in compensation for hundreds of ex-workers suing for damages in a suspected plant contamination case, a judicial source said Monday. Labor judge Ines Correa Cerqueira from the town of Paulinia in Sao Paulo state ruled that the two foreign companies must deposit $500 million in a compensation fund pending the outcome of the class action lawsuit, according to the source who spoke on condition of anonymity. Prosecutors in May pressed for the money to be deposited in the fund to ensure that the ex-workers get medical treatment while awaiting a final ruling in the case. Anglo-Dutch Shell and Germany's BASF were accused five years ago of contaminating workers at a plant in Paulinia, located 102 kilometers (63 miles) from Sao Paulo, which was closed in 2002. The source said the labor judge also agreed to expand the number of plaintiffs in the case from the initial 772 to 1,142. In a statement, Shell it would fight the decision, arguing that the list of beneficiaries of the fund included "people who did not prove that they had any link with the firms." The ex-workers blamed their health problems on prolonged handling of chemicals. The two companies were also accused of contaminating ground water near the plant. "Several tests determined that there was contamination of the water, air and ground (by toxic chemicals), and that as a result many people suffered from prostate cancer and thyroid gland problems. So far we have counted 61 dead," Clarissa Ribeiro, a prosecutor in the case, said in May. Lower courts had ordered the two firms to cover the costs of medical treatment. The case was appealed to the higher court in Brasilia, which is to issue a final ruling at an unspecified time. 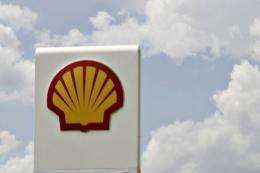 Shell owned the plant from 1974 to 1995, when it sold it to US conglomerate Cyanamid. BASF, world's leading chemical company, bought the plant in 2000.